30"x22" original watercolor painting of hot pink Bougainvillea flowers. 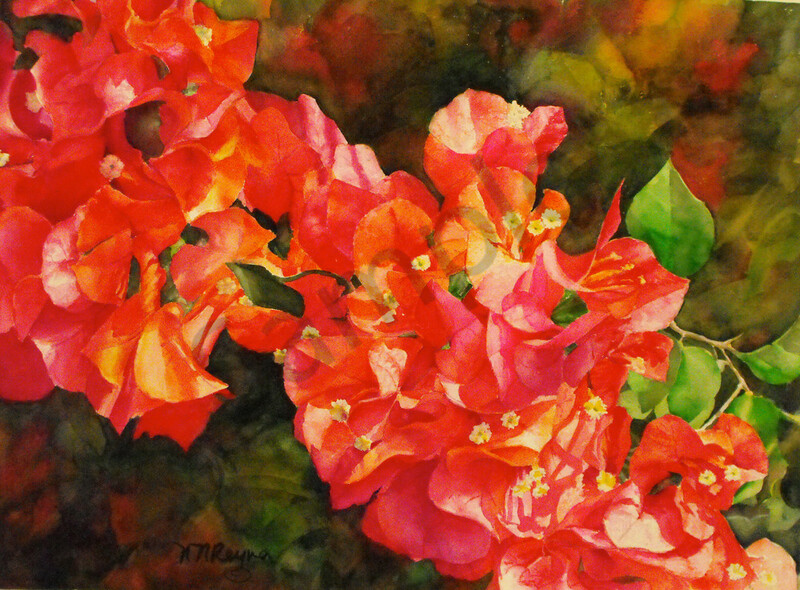 Watercolor painting of a mass of red Bougainvillea flowers. They are magnificent when they bloom in the winter in Miami, and my favorites are these hot colors that change to orange, red, and different pinks when the sun touches them. Painted on Arches, cold pressed watercolor paper, with professional grade watercolor paints. 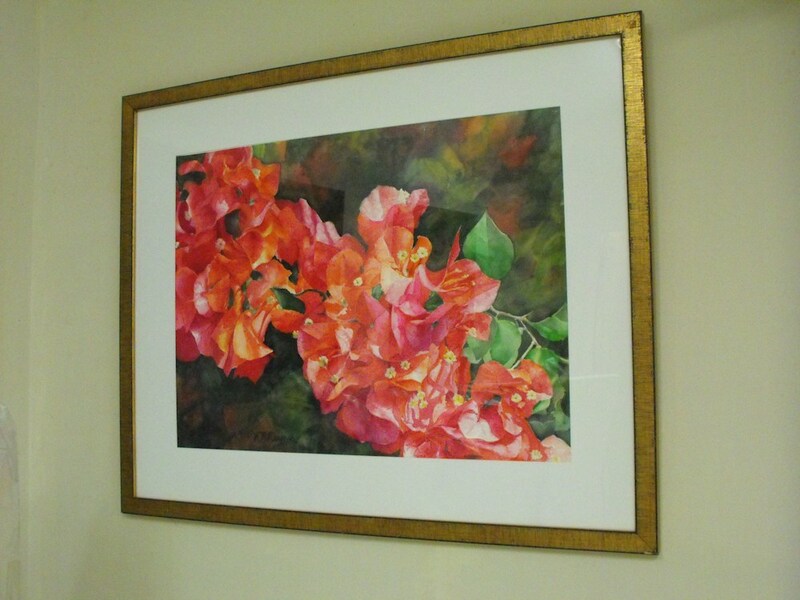 Flambuyant art, a tropical nature watercolor painting of a cluster of red Bougainvillea flowers.